Awesome captures and sort of collage. 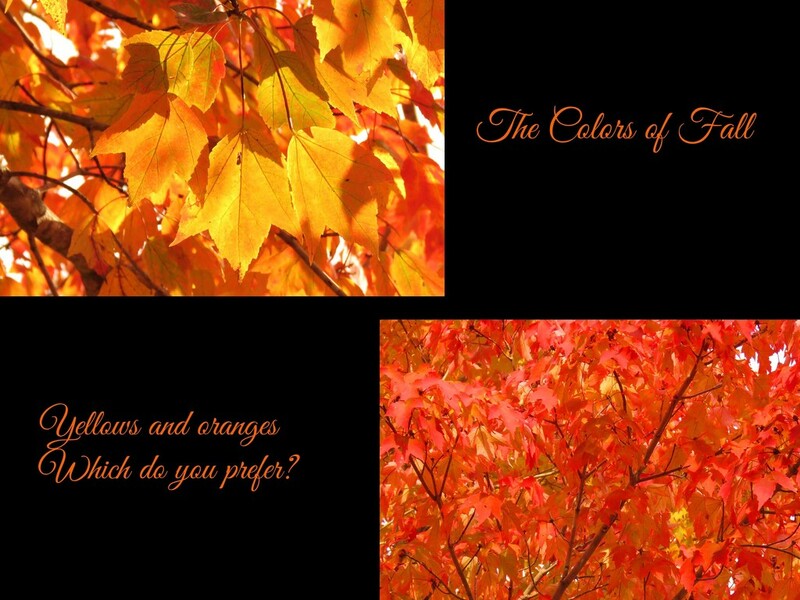 Nice collage - I love autumn! How pretty! I like them both so it's hard to say, but in the end I think it would have to be yellow as they just light up the sky when the sun is shining through them!